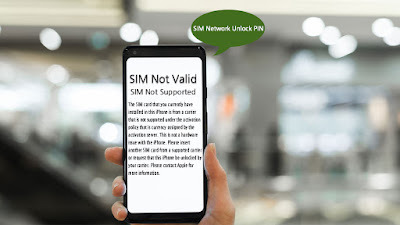 How do I fix what if my phone shows “SIM Not Valid” or request to enter “SIM Network Unlock PIN” after switching Korea SIM Card? After inserting your Korea SIM and powering on the device, note whether your phone shows any error messages such as "Invalid SIM" , "SIM Not Valid" or if you receive a request for a SIM Network Unlock PIN. If you see any of these messages, your device is most likely locked to your carrier. To use our service, your phone must be unlocked - but if your phone is locked, Contact your current wireless provider.